Okay, WAIT! Before I begin, I want to tell you about something kind of super fun... 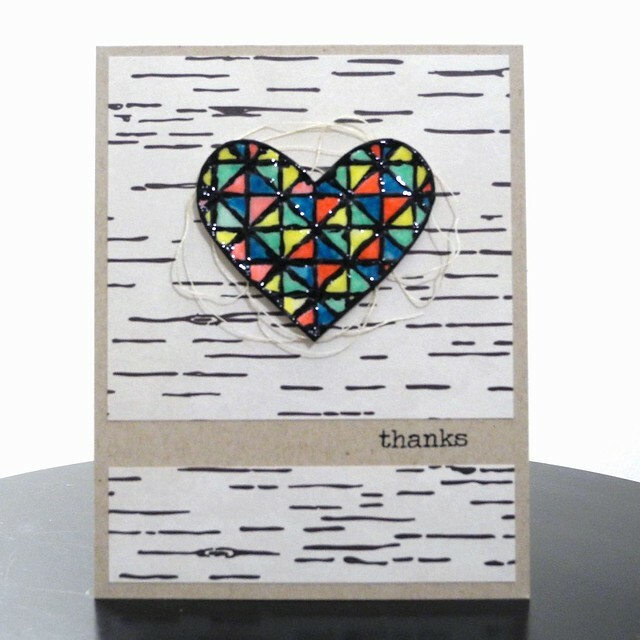 I am on the CardMaker Magazing blog! WHAT?! Yup! And I think that's pretty awesome! I am featuring the Simon Says Stamp October Card Kit over there along with some tips on using journaling cards in your card making, so be sure to head over and check it out! Speaking of the October Simon Says Stamp Card Kit... You need it. For reals, though. I have been playing with it a TON, and I am so in love with it! This heart stamp from the I See You stamp set is absolutely amazeballs and I love it super duper lots. For reals. Lots. And Lots. I colored it with Distress Markers, splashed some water to add some visual texture, and then outlined it with the Viva Decor Paper Pen in black. After that dried, I layered Glossy Accents over the entire thing for a sort of stained glass look. It makes me happy. It really does. 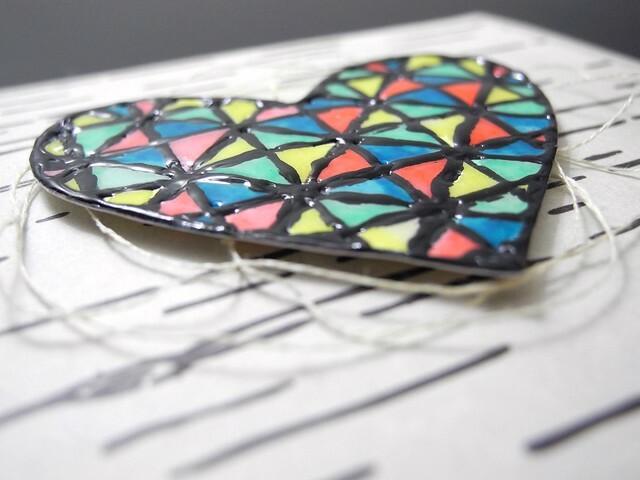 I used some of the embroidery floss behind the heart over that gorgeous patterned paper. A simple sentiment is all this one really needed! If you haven't checked out this kit, seriously, you totally need to go buy it. It's that simple. I promise. This is probably my favorite one ever. For reals. Makes me happy too! Love that heart!